Savings in time as well as costs are progressively more in focus for our customers. 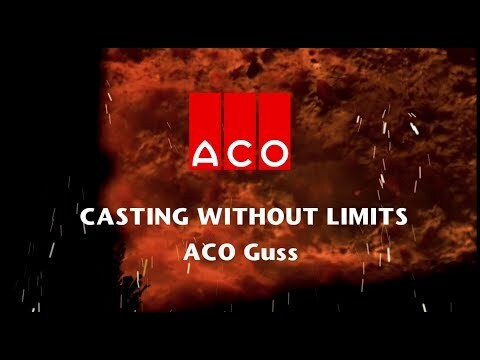 As a full-service provider, ACO Guss has the capability to take a large share of the preparatory work off your hands, as well as acting as a speaking partner on practical casting design early in the construction phase. When the casting is finished, we offer further treatment of the parts. Our simulation technology is state-of-the-art, and ensures cost effective solutions for our customers in their everyday endeavour. Modern production facilities such as our automated moulding line and pouring device, wire injection machines for treating the melt, and a modernised core making shop guarantee high quality standards. Thanks to our in-house machining possibilities and a network of competent and modern partners for machining of finished and semi-finished parts, we can offer our customers complete, ready-to-install components. Our ACO Guss team will be at your disposal during normal business hours by telephone or e-mail. Get to know us as a full-service provider for machine-moulded casting, continuous casting and construction casting. And learn how we support our customers from the design phase through the casting process and the mechanical machining to the ready-to-install product. The ACO Guss Group currently employs around 350 people within our three areas of competence, machine-moulded casting, continuous casting and construction casting, at various sites in Europe and South Africa. Our employees constitute the basis of our company's success, and contribute decisively to the conversion of our foundry site in Kaiserslautern into a modern, sustainable production facility. Today, our melt-shop colleagues produce up to 75,000 tonnes of cast iron per year, which are converted by our specialists to advanced bespoke cast components, such as brake discs for rail vehicles, large gearbox casings for transmissions or cast manhole covers and other parts needed for drainage infrastructure. We are always anxious to come into contact with a new generation of motivated employees and qualified specialists with whom we can further expand our position as one of Europe's leading foundries. If you are interested in working with us, for example on the development of innovative products and materials, you can read more here about the exciting opportunities which a modern foundry operation can offer.